You will earn 2.05 Reward Points. Earn 1 reward point for every 1 dollar spent. 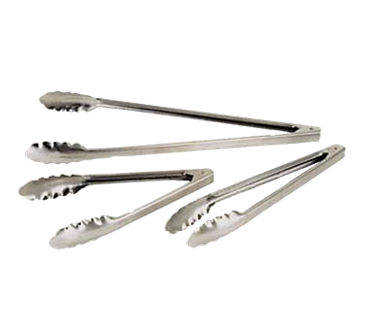 Keep your kitchen staff supplied with all of the cooking utensils they need by providing them with a set of Admiral Craft XHT-10 utility tongs. These solid stainless steel tongs feature a polished mirror finish and a coil spring operation. Minimum total order for this brand is $275.